One of the issues that causes the most tension during and after the divorce is experience is related to child support. Many who pay child support feel that they are paying too much. It is important to consult with your family law attorney if you feel that you are paying too much in child support. Those that feel that they are paying outside of their own means can feel victimized by the institution. They see it as an institution created 40 years ago during a time when fathers were looked at as the sole breadwinner of the family, while mothers stayed home to take care of child raising and household duties. Since the institution of child support has not changed with the times, it has created an economic situation that puts a financial burden on low-income families. Of the parents who were supposed to get child support, 27 percent of them lived below the poverty line, as of 2011. These numbers are even worse when fathers are granted custody of their children, and mothers are asked to pay child support. 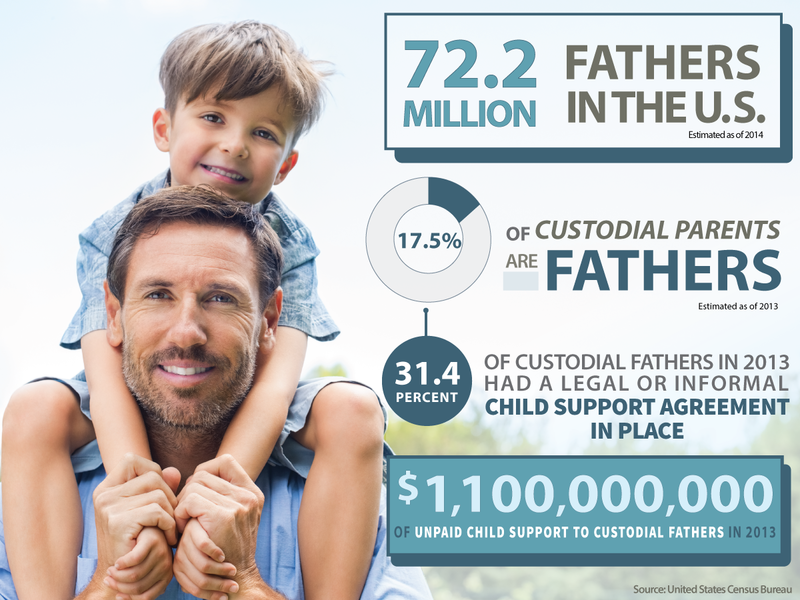 Using statistics from the United States Census Bureau, MensDivorce put together an infographic exploring the struggles that custodial fathers go through in receiving legal or informal child support, if any at all.